If you're on a family plan and have strict parents, your wireless experience is about to change dramatically. Verizon Wireless announced on Wednesday the company is introducing even deeper tools to help customers manage wireless usage. Dubbed Usage Controls, the $4.99 a month per line service will allow customers to control aspects like data usage, from how much, when and with whom family members are communicating. In addition, Usage Controls will help consumers manage things like megabyte usage, content purchases, application downloads and more. 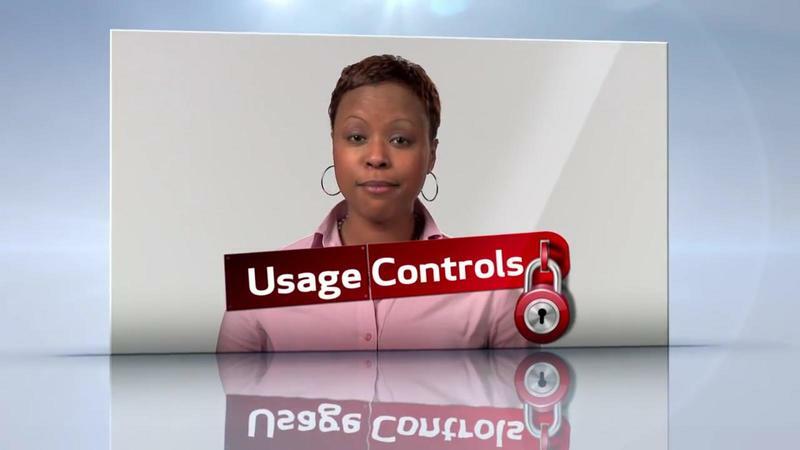 Big Red has been kind enough to provide a video outlining Usage Controls and how customers can best utilize the new tools to control things like calling and messaging for specific lines of one's account. Little Suzy messaging too much? Limit her to only fifty a day. Bradley spending more time on the phone than doing homework? Restrict voice usage to certain hours of the day. Additionally, once limits are determined for something like data, a user won't be able to pass the set allotment. For example, if you set a line to only 100MB for the month of March, that's all the user gets. Usage Allowances – Families or individuals can control wireless budgets with monthly usage allowances on each controlled line for voice minutes, messaging, data and content purchases such as ringtones, games and downloads. They'll receive free text message alerts when limits are nearing and when they are reached. Once the allowance is reached, there is also an option to restrict usage. Time Restrictions – Parents can set times of the day or days of the week – such as school hours or late at night – to prevent family members from calling, messaging or accessing data. Trusted contacts can always communicate. Blocked Contacts – Customers can block communications with unwanted contacts. Trusted Contacts – Customers can always allow communications with trusted contacts, even with Usage Controls restrictions. Calls to 9-1-1 are always trusted. 911 Notification – Account owners receive an automatic text message when a line on their account assigned to Usage Controls makes an emergency 9-1-1 call. So, kids: Do your homework, don't slouch, eat your vegetables and maybe mom and dad won't restrict your mobile experience. Otherwise, you can kiss texting friends during bedtime goodbye.